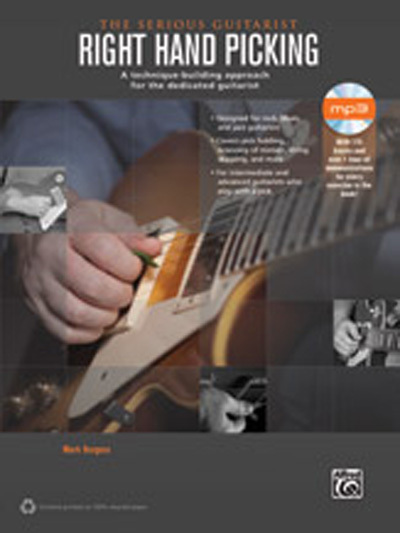 When it comes to right-hand picking technique, serious guitarists have waited patiently for a comprehensive book to address these specialized skills. Until now, rock, blues, and jazz players have not had a book devoted entirely to right-hand picking. The Serious Guitarist: Right Hand Picking fills this gap with a unique, dedicated approach to pick playing that you've always been looking for. You'll learn the most efficient way to hold and use a pick, and discover ways to increase efficiency when moving from string to string. Lessons are organized by the number of strings---beginning on a single string, then progressing to two-string exercises, then three, all the way up to six strings. The featured exercises have been thoughtfully developed into musical ideas and licks to give a clear example of how you can incorporate the exercises into your own playing. This way, you will be playing music, not just exercises. Right Hand Picking provides the tools you need to become a better guitar player, but more importantly, it will help you become a better musician. The included companion CD features demonstrations of the examples in the book.